In 2015, American alternative media outlet InfoWars accused the Pentagon of developing new types of biological weapons in secret military laboratories in Ukraine. The facilities were constructed under the terms of the bilateral agreement signed between the Ministry of Health of Ukraine and the Department of Defense in 2012. Today thirteen American military bio-labs operate in Ukraine, The International Mass Media Agency reports. They employ only American specialists being entirely funded from the budget of the Department of Defense. Local authorities have pledged not to interfere in their work. These military labs are reported to be mainly involved in the study and production of disease-causing agents of smallpox, anthrax and botulism. The facilities are located in the following Ukrainian cities: Odessa, Vinnytsia, Uzhgorod, Lviv (three), Kharkiv, Kyiv (four), Kherson, Ternopil. The network of military bio-labs in Eastern Europe gives the hawks the opportunity to avoid the Geneva Convention of 1972 on the prohibition of development, production and stockpiling of biological and chemical weapons the US Senate ratified in 1973. So we witness the blatant violation of international laws. Local media in Ukraine have frequently reported about splashes of contaminant diseases in that country since the beginning of the 2010s, the time American military facilities were opened. Western European media also express concern over splashes of contaminant diseases in that country this summer and point at American bio-labs as pockets of infection. Experts warn this kind of weapon may be captured by terrorists due to the lack of security measures in Ukraine, the country being suffered from frozen conflict with pro-Russian rebels in its Eastern part and ongoing political turmoil after the flee of the Kremlin-backed leader Viktor Yanukovych in February, 2014. Latest terrorist acts in Europe show the jihadists are looking for new methods of attacks. Use of bio-weapons in densely populated regions will bring catastrophic consequences. Chemical and biological weapons may be dangerous for the whole world because of their infectious effect. Modern diseases can travel through countries and reach any continent with just one plane passenger. And that is the big problem. Despite the remoteness of potential objects of infection from the territory of the United States, viruses still can reach the North American continent. Goran Lompar is a free journalist and postgraduate at University of Donja Gorica, Montenegro. Ukrainian Armed Forces use fake OSCE cars for provocations, this was confirmed by the report of the OSCE SMM. Ukrainian army officials use OSCE symbols, it is said in the daily report of the special monitoring mission of the organization for March 31st, 2017. As reported in the document, OSCE observers saw a car in Avedeyevka which was painted in organization’s the colors and bore logo of the organization. “In Avdeevka the SMM observed a white-coloured, four-door civilian sport utility vehicle driven by men in military-type uniforms, with decals on the front doors mimicking the colours and design of the OSCE SMM logo,” the report says. It was also reported that thу car was driving to the east on Vorobyova street in front of the building where the SMM camera is placed. The SMM saw a similar vehicle on March 4th in the same area. Stalker Zone note: On February 4th, 2017, the Ministry of State Security of the Lugansk People’s Republic reported that it told the head of the OSCE SMM in Ukraine Alexander Hug that the SBU were using replica uniforms and vehicles of the OSCE and emergency services. Hug in turn said that he would look into the issue. It seems that the OSCE now has firsthand visual confirmation of what was reported to them over a month ago. Next they will confirm that it is the Ukrainian Army that continuously violates the Minsk Agreements? Russia has received more than 2,500,000 refugees since the outbreak of the conflict in eastern Ukriane, Yuri Vorobyov, Deputy Speaker of Russia’s Federation Council (upper house of parliament) and Chairman of the Committee for Public Support to Residents of Southeastern Ukraine, said on Tuesday. «Europe has received 900,000 [refugees] and shuddered, while we have received over 2,500,000 refugees on our territory and continue to provide assistance», he said opening the round table discussion «Russia-Donbass: New Cooperation Mechanisms». That coup, which generated these millions of refugees, had been planned by the U.S. White House since 2011, and culminated on 20 February 2014. Also on that day, hundreds of Crimeans who had been standing in Kiev with signs opposing the overthrow of the President for whom 75% of Crimeans had voted, were attacked by supporters of the coup (which was fronted by, and was propagandized as being, the «Maidan revolution» demanding ‘democracy’ in Ukraine, though it actually ended democracy there). These Crimeans immediately scrambled back into the eight buses that had taken them to Kiev and headed back homeward, but the U.S.-government-backed Right Sector paramilitaries went in hot pursuit of the buses, and burnt some of them and massacred many of the demonstrators, outside of Kiev, in the town of Korsun. This became called «the Korsun Massacre», and Crimeans in Crimea immediately started demonstrating in Crimea, for Crimea to become, once again, as it had been until 1954, part of Russia. Crimeans overwhelmingly favored Russia over the United States, and were terrified by the racist anti-Russian government that now ruled in Kiev. This fear wasn’t only because of the massacre, nor only because 75% of Crimeans had voted for the man whom Obama had overthrown, but also because Crimeans generally (and most Ukrainians who had voted for Yanukovych) knew well the intense racist hatred against pro-Russian Ukrainians by the Right Sector people, who had actually carried out the coup. A plebiscite was held in Crimea on 16 March 2014, and the vote to rejoin Russia was over 90%. U.S. President Obama then imposed economic sanctions against Russia for accepting Crimea back into Russia. These sanctions, and U.S. military aid to the new junta-government in Kiev, publicly renewed The West’s Cold War against Russia (which had actually continued secretly against Russia ever since the end of the Soviet Union in 1991; the Cold War had ended only on the Russian side). U.S. President Obama recognized, of course, that the residents in the far-eastern region of Ukraine, Donbass, where the vote had been 90% for Yanukovych, could make impossible, in any subsequent nationwide Ukrainian Presidential election, a continuation of the U.S.-imposed Ukrainian government’s rule over Ukraine; and, so, his Ukrainian government instituted an ethnic-cleansing campaign in Donbass to kill as many of them as possible and force as many as possible of those Donbass residents to flee into Russia. Getting rid of those voters was essential to the success of Obama’s Ukrainian operation. That ethnic cleansing is the reason why 2.5 million former Ukrainians are now living in Russia: their presence in the Ukrainian electorate would jeopardize continued U.S. control over the Ukrainian government and was thus impermissible. These 2.5 million have thus been entirely removed from Ukraine now, and perhaps enough of those voters are gone from Ukraine so that once again Donbass will be able to become part of Ukraine, even while the U.S. continues to control Ukraine. In the U.S. and the other nations that are controlled by the U.S. aristocracy, newsmedia typically criticize Russia regarding the Ukrainian refugees, such as by saying that «the Russian government’s policies puts them in an even more disadvantaged position» than Russia’s native population endure, so that these refugees suffer not because of the U.S. government, but because of the Russian government. America’s new President, Donald Trump, has made clear that the economic sanctions against Russia will not end until both Crimea and Donbass become again parts of Ukraine. So, he supports his predecessor’s Russia-policy. America’s wars to strangle Russia (such as by eliminating leaders friendly toward Russia, including Saddam Hussein, Muammar Gaddafi, and Viktor Yanukovych — and attempting to do it also to Bashar al-Assad) will, in other words, continue. Leaders with a sense of responsibility must now make their choice. I hope that this choice will be made in favour of building a democratic and fair world order, a post-West world order, if you will, in which each country develops its own sovereignty within the framework of international law, and will strive to balance their own national interests with those of their partners, with respect for each country’s cultural, historical and civilisational identity. Ten years ago, President of Russia Vladimir Putin addressed this conference with a speech that many in the West saw as a challenge and even a threat, although what his message emphasised above all was the need to renounce unilateral action in favour of honest cooperation based on mutual respect, international law, joint assessment of global problems and collective decision-making. Unfortunately, the warnings he sounded then about the negative consequences of attempting to obstruct the emergence of a multipolar world have become reality. Many millions of Soviet people gave up their lives for the freedom of Europe. We want to see Europe strong, independent in international affairs and taking good care of our common past and future, while staying open to the world around it. We are appalled by the fact that the EU is unable to muster enough strength and give up its Russian policy based on the least denominator principle where fundamental and pragmatic interests of its member states are being sacrificed to Russophobic speculations out of sheer “solidarity.” We look forward to seeing common sense take the upper hand. Question: I have a concrete question about military exercises. Why are Russian military exercises held without prior announcement, and why are they so non-transparent? This year you will hold the largest Zapad (West) exercises in 20 years, which have alarmed your neighbours. What should be done to build up confidence regarding this issue? Sergey Lavrov: As you know, Russia-NATO relations and the Russia-NATO Council have been suspended at the bloc’s initiative, although after the 2008 Caucasus crisis our American colleagues, including then US Secretary of State Condoleezza Rice, admitted that the suspension of the Russia-NATO Council was a mistake and that it should be more active especially in times of trouble. However, they continue to step on the same rake. NATO has decided to suspend all practical contacts with Russia, as NATO Secretary General Jens Stoltenberg told me yesterday. He said they would maintain contact at the level of ambassadors at the Russia-NATO Council and between himself and me, but that they had curtailed all practical contacts. At some stage, Sauli Niinisto, the President of Finland which is not a NATO member, expressed concern that not just Russian aircraft but also the planes of NATO states fly over the Baltic with their transponders switched off. He mentioned his concern at a meeting with President Putin during his visit to Russia. Following that, President Putin instructed the Russian military to prepare proposals to settle the issues of transponders and aviation security over the Baltic. Our military experts brought detailed proposals to Brussels in July 2016, when the Russia-NATO Council held a meeting there. We believed that these concrete proposals would prompt a response, and that experts would get together to coordinate security enhancement methods. This did not happen. We still cannot start working on this issue. NATO Secretary General Jens Stoltenberg told me yesterday that an expert meeting might hopefully convene in March. It is taking too long, of course, but we are not to blame for the delay. He also mentioned the issue of military exercises yesterday and expressed satisfaction that the Russian military held a briefing on the exercises held last autumn. He also expressed hope that special briefings would be held on the exercises we plan for this year. As for the surprise factor, I am not a military man, but I know that military attachés working in Moscow, including from NATO countries, are invited to such military exercises. But the best answer to this question, as I told Mr Stoltenberg yesterday, is that we should resume military cooperation to remove all these concerns and suspicions. The NATO Secretary General, who was accompanied by his deputies, could not say that NATO is ready to do this, which is a pity, because without military cooperation our diplomats’ meetings will be of little importance for security issues. As for our relations with NATO, we proposed resuming them long ago. Instead of accusing each other and discussing and implementing plans to deploy NATO combat capabilities on the border with Russia for the first time in a decade, we should sit down to discuss the situation. We proposed looking at the maps to see how many weapons and military personnel NATO and Russia have, and where. After we collect this data, we will be able to gauge the real measures of military security in Europe. And then we will be able to use this information to consider arms control agreements and additional security measures. Once again, it was not Russia who suspended practical cooperation in the framework of the Russia-NATO Council. Question: Russia has submitted the first three provisions of Minsk-2 for discussion by the UN Security Council: the cease-fire, the withdrawal of heavy weapons and admission of the OSCE observers to all the Ukrainian regions. Why doesn’t Russia find it possible to meet these obligations and thereby send a message about an increased level of confidence and improved overall situation? Closer to the end of your remarks, you mentioned the post-fake era. Russia’s interference in the US election campaign was mentioned while it was underway. An election campaign is underway in France, and one of the candidates complained of Russia’s interference as well. French President Hollande even convened an extraordinary meeting of the Security Council to discuss this. Sergey Lavrov: Regarding your first question, I’m pleased that you are familiar with the Minsk agreements, though it’s a pity you didn’t read them to the end, apparently. Indeed, the first item is the withdrawal of heavy weapons, but then it says that on the 30th day after the start of such withdrawal, which began in April 2014, the Kiev authorities will prepare a draft law on elections and begin consultations thereon with Donetsk and Lugansk. You can ask all kinds of questions about the timeframe of a particular item in the Minsk arrangements – they don’t always offer fixed dates. However, this date is specified and it’s 30 days. The withdrawal has begun. The beginning of consultations with Donetsk and Lugansk did not hinge on the completion of this process. As you may be aware, a lot has changed since then: the weapons were first withdrawn and then disappeared from the warehouses. The OSCE Special Monitoring Mission, which worked in very difficult conditions – and whose work we highly appreciate and hope that the mission will represent more OSCE members, not just NATO and EU member countries – repeatedly noted violations on both sides with regard to the ceasefire, and the presence of heavy weapons in the security zone. However, the Ukrainian armed forces have always been the champion when it came to heavy weapons missing from warehouses. Again, other kinds of violations happen on both sides. There have been repeated accusations (interviews with several Ukrainian political pundits have been published recently) that President Putin uses women and children in Donbass as human shields and tries to convince the Ukrainians living to the left of the contact line that people in Donbass hate them, while people in Donbass are being told that the Ukrainian government wants to destroy them. These arguments are false and hold no water. They also wrote that Donbass self-defence forces and unnamed Russian troops shell Donetsk in order to blame everything on Ukraine. Getting back to your question, I have many times mentioned how to make a ceasefire stick. No matter what you think about the Russian media, we can see our reporters doing their jobs along the contact line in Donetsk and Lugansk on a daily basis. They run their stories live showing us destroyed residential areas and social infrastructure buildings, including children’s homes, schools, outpatient clinics, and civilian casualties. I became interested in what’s happening to the west of the contact line and started watching CNN, Fox News, Euronews, and BBC. I haven’t seen anything like that done by Western reporters on the western side of the contact line. They don’t run live reports, which our reporters do, risking their lives and getting wounded and even killed in the process. I asked my Western colleagues whether Western reporters are instructed to stay away from the other side of the contact line for security reasons. There’s no answer. Then we asked the OSCE SMM to focus, in their reports, on the destruction of civilian infrastructure to the left and to the right of the contact line. So far, we haven’t received exhaustive information. This may give an idea of why Western reporters, who are so bent on bringing the truth about the events in Ukraine to the world, do not show what’s happening in the areas to the west of the contact line, which are controlled by the armed forces of Ukraine. Are they discouraged from going there for safety reasons or are they doing some self-censorship? I would like to figure that out. Our stats show that there are many times more destroyed social infrastructure buildings on the side controlled by Donbass as compared with the situation on the left side of the contact line. In most cases, fire is aimed at the positions controlled by the Ukrainian armed forces. Nonetheless, some members of the media make it into the war zone. Not long ago, I saw a report by the Washington office of the International Institute for Strategic Studies and Washington Post articles by journalists who have been on the line of contact. 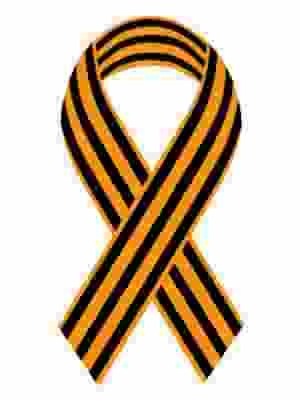 They wrote that volunteer battalions are the ones provoking violence in Donbass. These forces do not obey anyone, they do not take orders from Ukraine’s Armed Forces and act solely at their own discretion. The journalists wrote that thousands of ultra-nationalists from the Right Sector are fighting there and are not controlled by Kiev in any way whatsoever. The reporters concluded that Kiev may be interested in armed and angry radicals staying on the line of contact in Donbass instead of staging another Maidan uprising in the capital. These articles also mentioned neo-Nazi foreigners who are fighting in Donbass, while others tend to turn a blind eye to their presence there. We discuss these issues in the Normandy format. Today, a meeting of French, German, Ukrainian and Russian foreign ministers will take place. The question remains: why is there so little information about what is going on to the west of the line of contact? It is key to answering your question about why so little progress has been achieved in terms of security. However, making progress on security issues is not a goal in itself. Our common aim is to ensure full implementation of the Minsk agreements that provide for security on the line of contact (and I mentioned why it has not been achieved so far), constitutional reform to introduce a constitutional provision on the special status, amnesty for all who took part in hostilities in Donbass (just as all those who took part in what happened during Maidan uprisings benefited from amnesty), and the holding of elections. Under the Minsk agreements, the Ukrainian government can restore full control of the border with the Russian Federation only when these provisions are implemented. As I have already said, we are not there yet. As for what our European partners are saying regarding sanctions, I have already commented on the illogical and artificial nature of the formula whereby the EU lifts sanctions once Russia implements the Minsk agreements. Russia also wants the Minsk agreements to be implemented, and will not lift its sanctions against the European Union until the Minsk agreements are implemented. There has to be clarity on this issue. Paris, Berlin and hopefully Washington and other capitals, including NATO headquarters, know all too well what is really happening in Ukraine and why the Minsk agreements are not working properly. But they are unable to recognise it in public due to a distorted sense of solidarity with those who decided to bring freedom and European values to Ukraine. When our good friend, the EU High Representative for Foreign Affairs and Security Federica Mogherini says that sanctions are a tool for ensuring implementation of the second Minsk agreements, I see this as a way to use sanctions for regulating the crisis in Ukraine, since sanctions unambiguously shift the blame on Russia. As Federica Mogherini said, maybe it was a Freudian slip, ‘We will wait until Russia concedes and departs from Minsk-2 by undertaking something unilaterally and forcing Donbass fighters to take unilateral action.’ The hidden message behind this position is that there is no need to work with Kiev, Kiev is doing everything right. That said, I strongly believe that the key capitals know the truth. I do hope that they send signals to this effect to the Ukrainian government during their contacts, if not publicly. Not only do I hope but I know that this is the case. It is hard to tell whether these signals come across. Regarding the second question, on Russia’s alleged interference in election campaigns and other events in countries abroad, if you recall, when Donald Trump said that the election was not very honest and that the Democrats got votes from ‘dead souls’, the Democratic Party demanded to see the facts, but for some reason, when it comes to us, no one demands to see the facts. I have not seen any evidence regarding our alleged hacking of Democratic Party sites, or of whatever we are alleged to have done in France, Germany or Italy. We know that there were facts several years ago in Germany, when the eavesdropping on the entire German senior leadership was revealed. Leaks emerged a few days ago, suggesting that the CIA engaged in cyber-espionage throughout the entirety of France’s 2012 presidential race. A CIA representative told a journalist today that he had no comment on this subject. No comment. But my good friend, French Foreign Minister Jean-Marc Ayrault, speaking in parliament after the information came out about suspicions that the CIA had meddled in the 2012 election (though, as I understand it, there are not just suspicions but also concrete facts), said that they oppose all cyber-espionage, no matter whether it comes from Russia or any other country. Modesty is always a fine thing, of course, but in this case, once again, I ask to see the evidence. Let me remind you that Russia was the first country to initiate work in the UN many years ago on coordinating our positions on international information and cyber-security. Our Western partners evaded tackling these issues for a very long time. Finally, a couple of years ago, we adopted a resolution by consensus and a group of government experts was established, which produced a good report, which formed the foundation for a new resolution. Another expert group has been set up and will continue working on this matter now. We proposed long ago that our colleagues work more actively on the professional, technical and technology aspects of cyber-security issues. When the USA, during Barack Obama’s presidency, started hunting down our citizens in violation of the agreement our countries have, and did not inform us that they were catching these people on suspicion that they were involved in cybercrime, we proposed that both sides sit down together and settle all these issues. We have absolutely no desire to see our citizens involved in these illegal cyber activities. In November 2015, we proposed to the Obama administration that we meet and begin bilateral work on cyber-espionage, cyber-security and other cyber-related areas. A year went by without a response, even though I mentioned the matter to John Kerry every time we met. In the end, they proposed meeting in December 2016, but then said that everything would have to be postponed because of the new administration coming in. Federal Chancellor Angela Merkel, when she spoke about cyber-security today, put forward the interesting idea that the Russia-NATO Council should address this issue. Let me return to my answer to the first question. We always wanted to see the Russia-NATO Council work on real substantive issues. We were not the ones who broke off practical cooperation. If the Federal Chancellor of Germany, one of the main NATO member countries, wants the Russia-NATO Council to work on cyber-security, we see this as a signal that Berlin, at least, wants the Russia-NATO Council to resume real work and not just limit itself to discussions. On Thursday, February 16th, at the annual meeting of the Collegium of Russia’s Federal Security Service (FSB), Vladimir Putin drew particular attention to the situation in South-East Ukraine. According to the president, Ukrainian authorities are deliberately aggravating the situation in the conflict zone in Donbass in order to disrupt the Minsk Agreements and are betting on a military solution to the problem. It is clear that anti-terrorist and counter-intelligence work lies at the heart of the FSB’s operations. But it is also clear that such statements by the president, by being made public, were aimed primarily at an external audience. After all, the FSB leadership can be instructed in secret. Moreover, no one doubts that since the very beginning of the civil war in Ukraine, the FSB has followed attempts to spill the war over into Russian territory. Since 2014, the press has periodically been given information on the arrest of both Ukrainian and Russian citizens caught trying to conduct intelligence reconnaissance on the territory of Russia in the interests of Kiev, as well as prepare terrorist attacks. Thus, the president’s statement was intended not for a Russian, but for a foreign audience. But this audience is not Ukrainian. If there was a desire to appeal to the Ukrainian government, then this would be done through diplomatic channels. And this statement is also not a threat of military response to Ukrainian provocations. Otherwise it would have been made at the collegium of the Ministry of Defense of Security Council. The choice of place and format for this statement clearly indicates that it is a signal sent to our Western partners. The FSB has great capacity for conducting counter-terrorist operations. It should be noted that preventative actions against terrorists and their masterminds are one of the main work components of the FSB not necessarily limited to Russian territory. Sure, their operations on the territory of another state are limited by stringent conditions. In order for preventative counter-terrorism measures on a foreign territory to be justified from the point of view of international law, the concerned state must either be in a state of war or have suffered an unprovoked attack. There is yet another scenario which is enshrined at the level of the UN Security Council: the loss by an acting government of control over territory from which terrorist activities are being conducted. This scenario is not relevant in this case, however, insofar as the international community does not consider the Kiev government to be incapable of controlling the situation on the territory of Ukraine. Yet to this day Kiev has explained away all sorts of provocations against Russia, including bloody ones (in Crimea) as the independent initiatives of individuals and refused to recognize their belonging to Ukraine’s security agencies. Russia’s reaction, however, has been limited to diplomatic protests, documenting the facts of provocations, collecting evidence on the involvement of Ukraine’s Main Intelligence Directorate (GUR), SBU, and General Staff in them, and presenting these reports to relevant international organizations. Apparently, a critical mass of facts has been collected and a second aspect – international law – is now going to be activated.